MMM…Tastes Like Strawberry Dirt. Here’s Why You Should Drink it Anyway – Honestly, I don’t like the taste of this one, but I still drink it at least a few times a week. Now I’ve actually heard from a few people who think it’s delicious, but they clearly aren’t firing on all cylinders. Probably the same kind of people who like to eat broccoli. So why do I drink it if I don’t like the taste? If you spend a good part of your week rolling around on mats in extremely close contact with other humans you want to power up your immune system brother! Especially if there are rugrats in your academy or club! 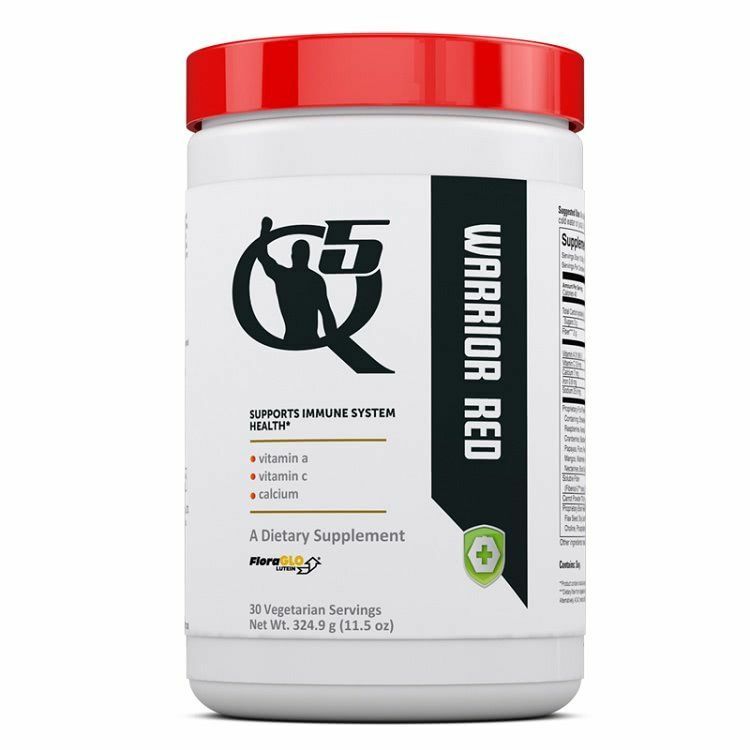 And that’s what Warrior Red is designed to do, give you a +20 on your immune health. It’s packed with over 3000 ORAC units per serving. (ORAC is a measure of antioxidant capacity, the average person in the U.S. consumes about 1200 ORAC units daily.) It’s also loaded with liver and brain boosters (L-Glutathione, Milk Thistle, Flax Seed, Choline, Acetyl-L-Carnitine, Inositol), and support for your cardiovascular system, Immune system, and eyes (Resveratrol, DMG, Lycopene). It’s a powerful blend of fruits and vegetables (carrot, flax seed, cherries, acerola, blueberries, green tea, grape seed, and a dozen more) to help support your overall immune health and keep you on the mats. I can hear you thinking from here. “Hmmm… sounds like it might be good stuff, but he said it tastes like dirt… I don’t know…” Now, stop worrying about the taste for a minute and remember that kid with the runny nose who was on the mat just before you. Exactly – so put some Warrior Red in your cart and take your medicine like a man. You’ll thank me later.